Siechem Technologies Pvt. Ltd, an ISO 9001-2008, ISO 14001:2015, ISO/TS 16949:2009 certified company was established in 1994 have grown as a premium manufacturer and exporter of Wires and Cables. Our wide assortment of UL Listed Cables, Automotive Cables and Nuclear Cables are deeply appreciated as it resisting to corrosion, thermal stability, high durability and excellent performance. 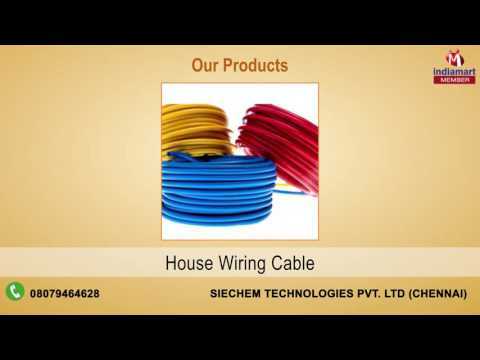 Siechem%u2019s in-house cable design studio can design and develop any type of cable with its expertise supported by R&D team to make insulating, sheathing and jacketing compounds that any competitor can offer.